ECHA will be closed on 1 May 2018, Labour Day. REACH-IT will remain open. While edging closer to the REACH registration deadline of 31 May 2018 with significant preparatory work and support for smaller-volume chemical registrants, the Integrated Regulatory Strategy reached maturity and ECHA’s Management Board selected a new Executive Director in its 10th year of operations. 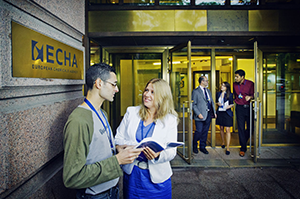 ECHA welcomes your comments on the draft document on the Agency’s future direction and priorities for the next five years. The deadline for comments is 4 May 2018, 23:59 (Helsinki time). include the chemical safety report for registrations above 10 tonnes per year. 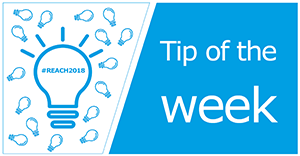 Have a look at our video for more simple solutions to help you address the most common challenges when preparing your registration dossier. Remember to also check your IUCLID dossier with the Validation assistant before submitting it in REACH-IT. To ensure a steady supply of substances critical to EU businesses, the Directors’ Contact Group (DCG) has agreed to extend its solution to issue 21 to distributors. This solution relates to substances with no registration intentions from an EU manufacturer or importer and was originally applied to downstream users. If you are a downstream user or a distributor and no EU supplier intends to register a substance you rely on, you should consider importing it yourself and registering it. If you decide to take up the role of an importer, you will need to submit an inquiry to ECHA and to submit a registration without delay. 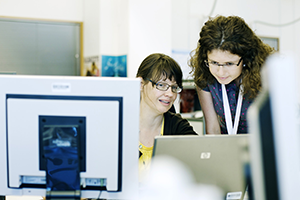 If you have difficulties in obtaining all the required information for your substance inquiry and registration by the 31 May 2018 deadline, you can apply for the DCG solution 21 and ECHA will assess your case. Based on the evidence about your specific circumstances, the Agency will set a deadline offering you a reasonable amount of time to complete your registration. The guide provides practical advice to potential and existing registrants of the same substance to prepare and develop the substance identity profile (SIP). It complements the advice given in Appendix III of Guidance for identification and naming of substances under REACH and CLP and the Q&As. The European Chemical Industry Council (Cefic) has published a list of the most frequently asked questions about the REACH 2018 deadline and how the EU chemical industry is preparing for it. Norway has submitted an intention to restrict the manufacture, use and placing on the market of perfluorohexane-1-sulphonic acid, its salts and related substances (EC -), with a planned dossier submission date of 12 April 2019.
methanol in windscreen washing or defrosting fluids (EC 200-659-6, CAS 67-56-1). The European Commission has published its decision to identify benzene-1,2,4-tricarboxylic acid 1,2 anhydride (trimellitic anhydride) (TMA) (EC 209-008-0, CAS 552-30-7) as a substance of very high concern (SVHC) under Article 57(f) of REACH due to its respiratory sensitising properties. The Commission has also published its decision to identify dicyclohexyl phthalate (DCHP) (EC 201-545-9, CAS 84-61-7) as a SVHC under Article 57(c) of REACH due to its classification as toxic for reproduction category 1B, and under Article 57(f) of REACH due to its endocrine disrupting properties with probable serious effects to human health. As a result, ECHA will add these substances to the Candidate List at the next scheduled update, currently foreseen for the end of June or beginning of July 2018. 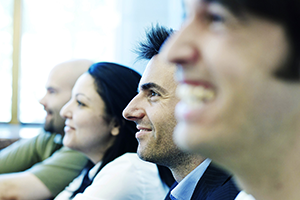 ECHA has launched 27 new public consultations on testing proposals. The deadline to comment these is 7 June 2018. In total, there are currently 55 public consultations open on testing proposals. The two-year campaign by the European Agency for Safety and Health at Work (EU-OSHA) will be marked by events and activities to draw attention to the impact of worker exposure to dangerous substances. The campaign promotes techniques for the proper management of dangerous substances in the workplace, such as risk assessment, elimination and substitution, by disseminating practical tools and case studies. Visit the newly launched campaign website for more information and resources. A new proposal to harmonise the classification and labelling has been submitted for clomazone (ISO); 2-(2-chlorobenzyl)-4,4-dimethyl-1,2-oxazolidin-3-one (EC 617-258-0, CAS 81777-89-1). Silthiofam (ISO); N-allyl-4,5-dimethyl-2-(trimethylsilyl)thiophene-3-carboxamide (EC -; CAS 175217-20-6) - An active substance used in plant protection products as a fungicide. It has no existing harmonised classification and labelling in Annex VI to CLP. Comments are invited on all physical, human health and environment hazard classes except selected physical properties, respiratory sensitisation, aspiration hazard and hazardous to the ozone layer. Prothioconazole (ISO); 2-[2-(1-chlorocyclopropyl)-3-(2-chlorophenyl)-2-hydroxypropyl]-2,4-dihydro-3H-1,2,4-triazole-3-thione (EC 605-841-2; CAS 178928-70-6) - An active substance used in plant protection products as a fungicide. It has no existing harmonised classification and labelling in Annex VI to CLP. Comments are invited on selected physical hazards, all human health hazards except respiratory sensitisation and aspirational hazard, and environmental hazards except hazardous to the ozone layer. Thiophanate-methyl (ISO); dimethyl (1,2- phenylenedicarbamothioyl)biscarbamate; dimethyl 4,4′-(o-phenylene)bis(3-thioallophanate) (EC 245-740-7; CAS 23564-05-8) - An active substance used in plant protection products or biocidal products as a fungicide. It has an existing harmonised classification and labelling in Annex VI to CLP. Comments are invited on selected physico-chemical hazards, all human health hazards except respiratory sensitisation and aspiration hazard, as well as on the hazardous to the aquatic environment hazard class. The deadline for comments is 22 June 2018, 23:59 (Helsinki time). ECHA has published an update to the Guidance document for the Biocidal Products Regulation (BPR), concerning Volume II - Efficacy Assessment and Evaluation (Parts B+C). The update consists of a revision of the section on product-type 5 (PT5) disinfectants in drinking water following the completion of ECHA's project on disinfectants which addressed the efficacy assessment of PT5. The European Commission is organising a conference on 11 June 2018 in Brussels on the outcome and follow-up of the second REACH review. Participants are expected from relevant Commission services, ECHA, national authorities, third countries, industry representatives including SMEs, trade unions and NGOs.